There’s truth to every cliché, of course, and as they go, the above carries weight. But even New Yorkers’ proactive approach to recreation hasn’t spared the city’s art house cinemas from the realities of a post-streaming landscape. Faced with a fragmenting audience spoiled for options, numerous theaters have folded under the pressure; most that remain have deferred to increasingly mainstream fare or stayed afloat thanks to private funding and non-profit partnerships. 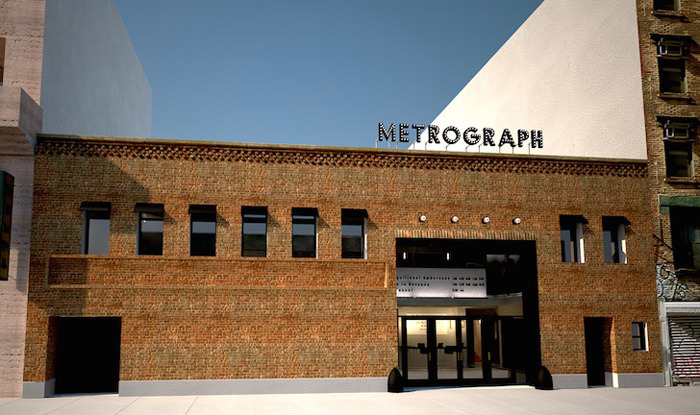 For all involved, it’s decidedly unfriendly terrain—and yet it’s precisely this climate that inspired designer Alexander Olch to found the Metrograph, a 5,400-square-foot, two-screen theater whose opening in March launched the town’s first new independent movie house in over a decade. Such a venture requires both vision and ardor, and indeed, from the start, the Metrograph’s been above all a passion project: in conceiving the space, Olch hoped to retain something of cinema’s iconic heritage, openly taking cues from the revered rep houses he’d frequented growing up—the Beekman, the Ziegfeld, the 8th Street Playhouse. As such, there’s an underlying sentimentality to much of the Metrograph’s presentation: the marquee complete with customized typeface; the ornate lobby with art deco finish; an outspoken bias for showing 35mm prints; an on-site restaurant (named The Commissary, no less) with menus drawn directly from 1920s Hollywood studio cafeterias. But while the theater may be anchored in archaic models, it offsets nostalgia with a distinctive, decidedly modern approach to both programming and presentation. Towards the former, Olch has enlisted NYC cinema mainstays Jacob Perlin and Aliza Ma to oversee its scheduling, which boasts an ambitious mix of vanguard first-rounders, art house classics, kitsch favorites and forgotten gems. Collecting titles from disparate eras and locales, their selections are wide-reaching and happily unpredictable: depending on the day, one’s as likely to see Gremlins or Magic Mike as a Jean Eustache retrospective or Frederick Wisemann deep cuts on loan from the Library of Congress. Supplementing this content is a steady stream of guest lectures, themed series and one-off events, including screenings by local filmmakers both established and emerging. As with any vocation that defies dominant models, the Metrograph serves as a kind of statement—in this case, one centered in the belief that cinema’s meaning might extend beyond the screen. 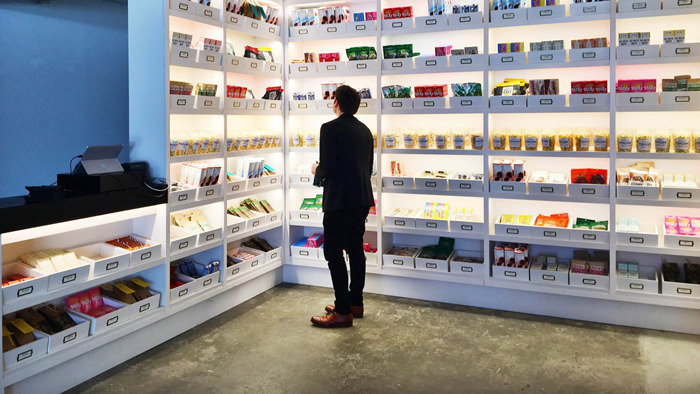 For Olch & co., this has meant positioning the theater less as a venue than a community hub, a destination whose various offerings can be neither duplicated nor digitally equaled. To that end, the facility offers an array of added attractions: in the lobby, a snack vendor touting choice confectionaries (imported chocolate, artisanal popcorn, cold-pressed juices); upstairs, a private dining room and cinema-centric bookshop; for each level, a lounge and full-service bar. Like its screening selections, the theater's presentation is smart but accessible, on offer to all. 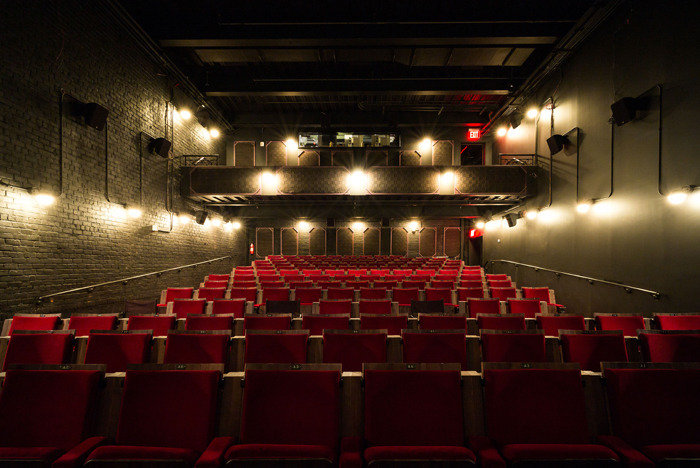 This, in the end, is the Metrograph’s vision for the cinema: less a transitional setting than an activated space, a vital center that gives moviegoers incentive to stay before, after and even in lieu of its programming—and which, in doing so, reaffirms the moviegoing experience as one at once immersive, communal and, above all, participatory, distinctly personal but publicly shared.